TS TestingService manufactures test machines for tires and can provide the whole range of tire test machines. 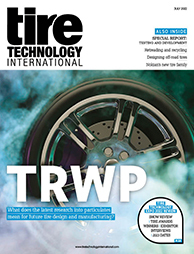 Visitors to Tire Technology Expo 2019 will be able to learn more about the company’s wide-ranging product portfolio, which includes RD testers, endurance testers, wear testers, high-speed testers, rolling resistance testers, force and moment testers, universal tire testers, stiffness testers, plunger/bead unseating testers, highspeed uniformity testers, indoor noise testers, indoor wet grip testers, dynamic footprint testers, bead compression testers, production testers for off-line/in-line, uniformity testers, balancing testers, and run-out measurement tire equipment. TS TestingService is also working on end-of-line tire inspection systems to replace manual inspection in the tire plants.